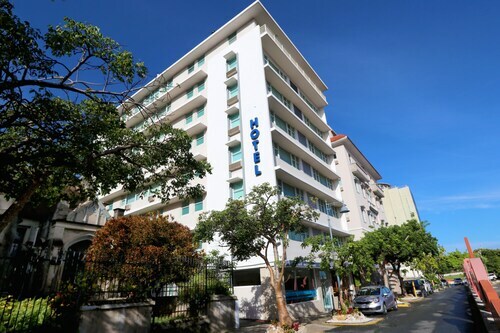 Situated near the airport, this hotel is within a 10-minute walk of Pine Grove Beach, Carolina Beach, and Isla Verde Beach. Balneario de Carolina and Barbosa Park are also within 3 mi (5 km). 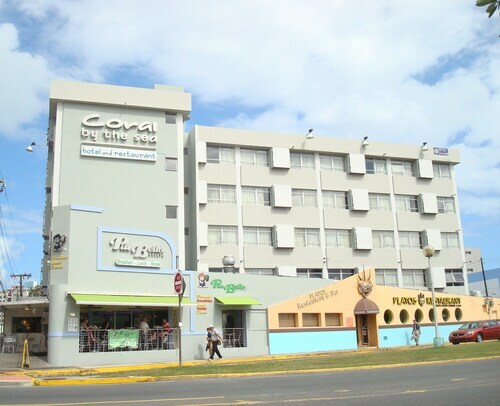 Situated on the Strip, this inn is within 1 mi (2 km) of Plaza Antonia Quinones and Condado Beach. Puerto Rico Convention Center and Carolina Beach are also within 3 mi (5 km). 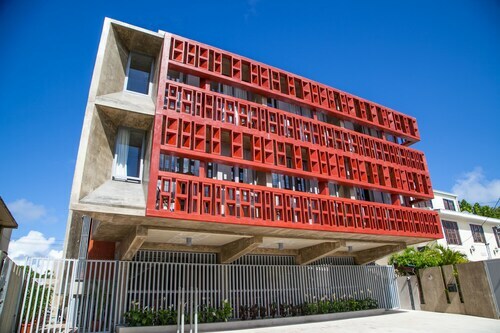 Located in Miramar, guests can enjoy top city attractions such as the Pan-American Pier, Old San Juan, San Cristobal Fort, and the Port of San Juan. 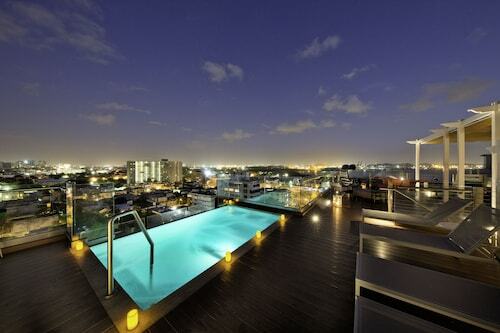 CIQALA Luxury Suites is also within walking distance to the Puerto Rico Convention Center. Overlooking the Atlantic Ocean and the Condado Lagoon, this resort is in the fashionable Condado resort/residential neighborhood; Old San Juan and cruise-ship piers are within 4 km (3 mi). 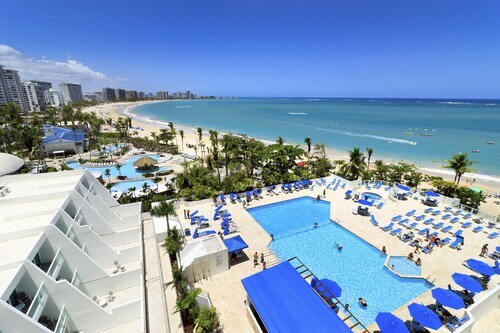 Located in Carolina, this beachfront aparthotel is in the city center and within a 15-minute walk of Carolina Beach and Isla Verde Beach. Pine Grove Beach and Balneario de Carolina are also within 1 mi (2 km). 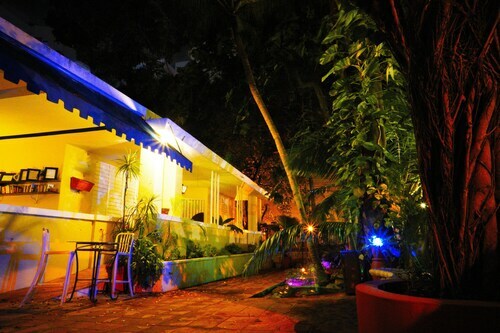 Located in Ocean Park, this guesthouse is within 1 mi (2 km) of Barbosa Park and Museo de Arte de Puerto Rico. Condado Beach and Jose Miguel Agrelot Coliseum are also within 3 mi (5 km). Sacred Heart Station is 30 minutes by foot. Overlooking the Condado Lagoon and the Atlantic Ocean, this boutique hotel provides affordable lodging a quarter-mile from Condado Beach and 2 miles from Museum of Contemporary Art of Puerto Rico. Luis Muñoz Marin International Airport is 5.4 miles away. Soak up the views over San Juan and get set to land at Fernando Luis Ribas Dominicci Airport (SIG). Although you won't find any accommodation inside of the airport, there are still some within easy reach. The Sheraton Puerto Rico Hotel & Casino, offering 24-hour room service and 24-hour concierge, and the San Juan Bautista Vacation Rentals are a couple of fantastic choices. Sometimes you need to stay near the airport but yearn for more food and amenity choices than the terminal can provide. 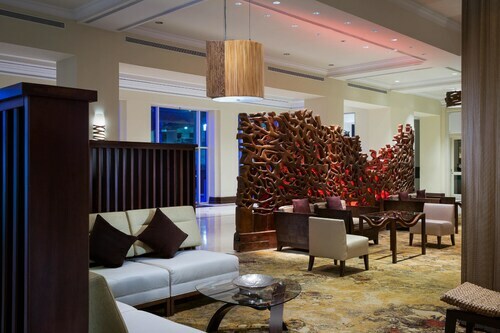 You'll more than likely find something pleasing out of the 24 hotel options in Old San Juan, with the Hotel El Convento and the Monastery Art Suites being the most sought-after. Even though you may be waiting for your next flight, you should consider visiting San Juan Cathedral if you can manage it. After all, it's only 1 mile (2 kilometers) away. Ready for your next adventure? Book your Fernando Luis Ribas Dominicci Airport accommodation right now and you'll have one less thing to stress over when you touch down. The suites are a nice size and beautiful. The pool picture that is advertised is highly misleading. It's literally the size of a hot tub. The rooms are clean and service is excellent. I loved how they allowed us to check-in early - our flight arrived hours before the 4pm check-in time. Staff also moved us to an ocean view no extra charge. Staff was super friendly and the rooms were very clean. The only thing I didn't like was how small the bathroom was. I'm a bit of a hotel "bathroom snob" but even this wouldn't deter me from booking here again. The location was perfect to everything and the excursions we booked picked us up right from the hotel. So no need for a rental.I would DEFINITELY recommend this property to anyone looking to visit PR. Walk-up PH: 2 BR + Private Terrace + Views= Value!